The Swiss watch has been a symbol of status and luxury since the dawn of horological time. In the modern era, where Swiss companies have staff all over this interconnected world of ours, horology has changed and with it has come a deluge of watches from incredible brands that hail from all over the world. Still, deluge or no, there’s a certain feeling a Swiss-made watch has that simply can’t be replicated. Make no mistake – great timepieces indeed come from many places (read our article on Swiss vs. Japanese mechanical movements), but no one on Earth does it better than the Swiss. In this article, we’re breaking down our 7 favorite Swiss watch brands that have great options at prices the rest of us can afford. 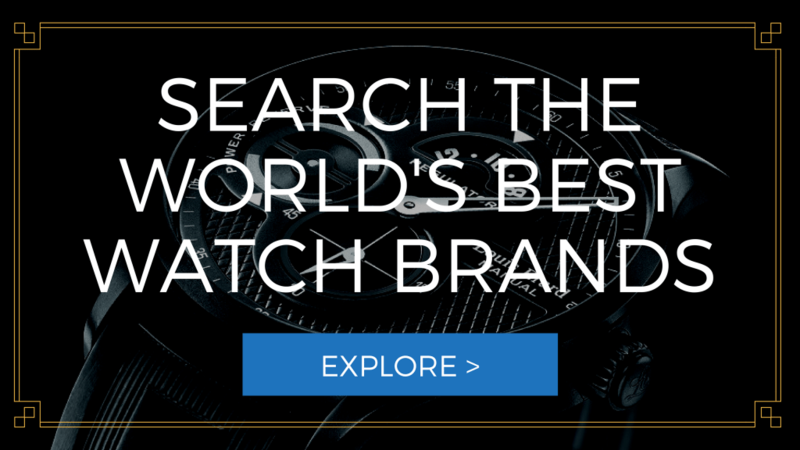 We’re specifically looking for attractive, mechanically or historically significant, or great value timepieces that offer their wearer a superior ownership experience. Watches with substance should be the only watches someone buys. Something that is disposable and valueless is just that, and it offers it wearer nothing special or interesting other than the time. If the time is all you’re after, your phone is far superior compared to a wristwatch. Brands and watches discussed in this article are here because they’re interesting, notable, significant, or otherwise great timepieces. Since we most certainly aren’t in the 1%, we’re also looking for watches that offer a good combination of history, novelty, materials, and workmanship. Sound good? Solid, let’s check out the list. 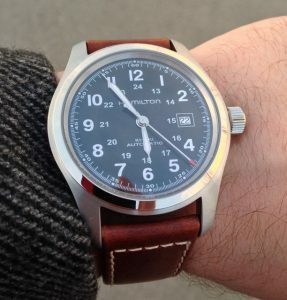 A (now) Swiss brand, Hamilton started life in 1892 as an American company. Founded in Lancaster, Pennsylvania, Hamilton is a brand that enjoys an interesting and eventful history. Just over a century ago, in Lengnau, Switzerland, three brothers – Fritz, Ernst, and Werner – founded what would become, by the end of the second World War, one of the largest producers of mechanical watch movements in the world. 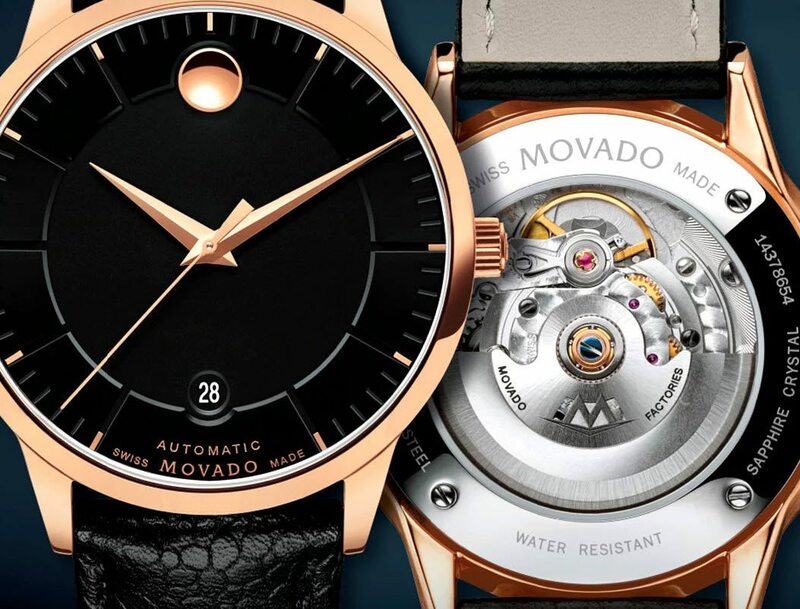 Every watch brand worth paying attention to has an interesting history, and among interesting stories, Movado’s is near the top. Famous for their museum design language – on display in nearly every model you’ve likely come across – the history behind that design is perhaps most interesting than the watches that bear it. 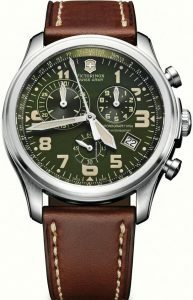 Placing Tag Heuer on a list of affordable Swiss watches seems like a misprint, but in reality, Tag Heuer makes several watches that are on the affordable side of luxury. Besides, the definition of affordable isn’t exactly rigid. In any case, mentioning fine Swiss watches without discussing Tag seems like an egregious omission. 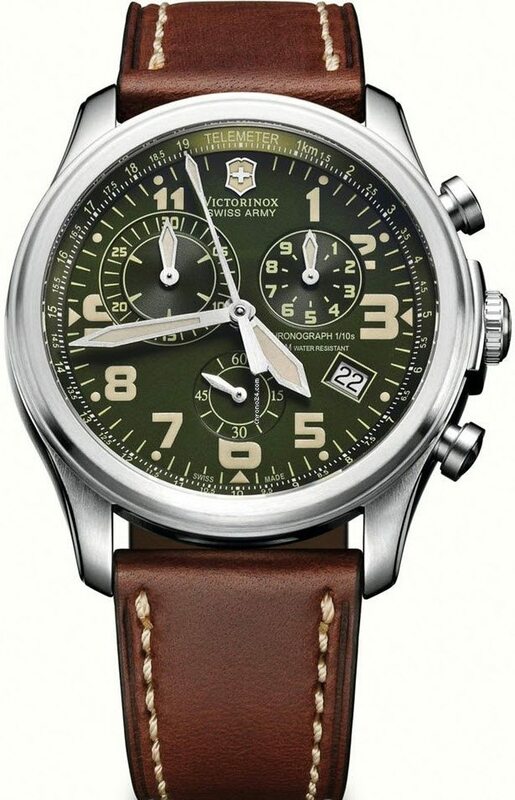 Bearing the Swiss Army designation with Pride, Victorinox is a multi-faceted company that has invested considerably in its ability to produce excellent timepieces. Victorinox is the largest manufacturer of pocket knives in the world, but not as well known is their watchmaking business, which has been a staple in Swiss-made watchmaking since their introduction into the market in 1989. 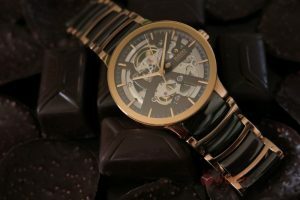 Swatch is, without a doubt, the most affordable watch brand included on this list and it is also, without a doubt, the one with the most personality. 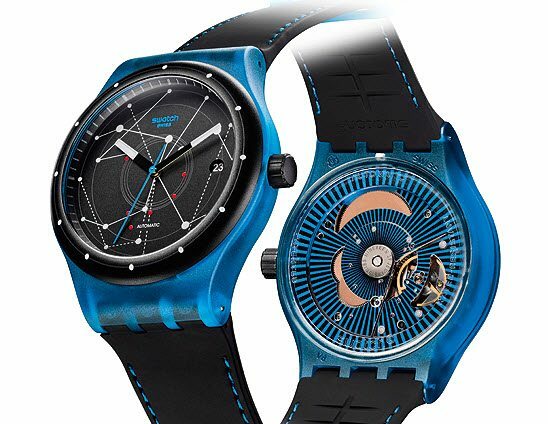 Leaving the regales of legacies to other, more upscale brands, Swatch is perhaps one of the most interesting stories in the world of watchmaking. 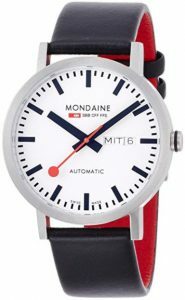 The quentessial “Railway Watch”, Mondaine is famous for their Swiss Railways design, which they have been using under license since 1986. The design itself dates back to 1944 and is featured in train stations (and iPhones) all over the world. In 1886 a company named Keystone Standard Watch Co. was founded. Keystone mad dust-proof watches and, finding itself on throws of bankruptcy, was sold in 1891 to what is now Hamilton Watch Company. Aurora Watch Company, also an American watchmaker, had merged with Keystone that same year. Hamilton was the combined efforts and assets of those two companies. Hamilton enjoys celebrity endorsement and popular acclaim throughout the ’50s and ’60s. During that time they introduced many horologically significant innovations, including the world’s first electric watch – the Hamilton Electric 500 – in 1957. In 1971, Hamilton was acquired by the Swiss company Société Suisse pour l’Industrie Horlogère. Through a further series of acquisitions and mergers, Hamilton found themselves owned by The Swatch Group in 1984. Since then, they have grown both their technical ability and share in the market. 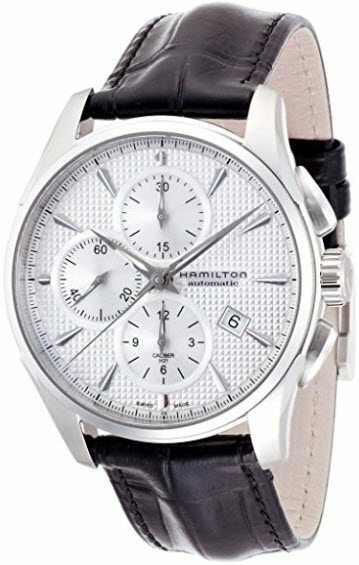 Modern Hamilton watches use ETA or ETA-derived movements and are known for their robustness and overall quality. 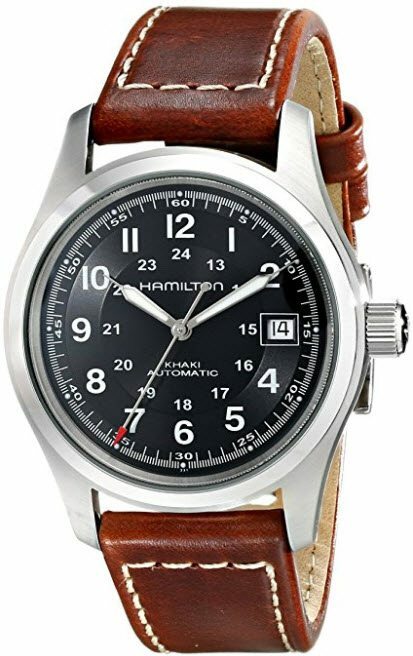 Hamilton tends to compete in the $1,000 – $2,000 space, though they have several excellent models available for the $500 range as well. We’ve got a lot to choose from, but we’re confident in our two picks: the Khaki Field and Jazzmaster Auto Chrono. Robust movement, classic looks. Nailed it. You will see the Khaki Field on many of these “watch lists” because it is an easy choice to make. It ticks all the boxes: it’s affordable, well-made, uses quality materials, and has a quality automatic movement inside. The field style is well executed, and it’s build quality is really quite good for the $350ish street price. It’s a genuinely good value from a major name in Swiss watchmaking. 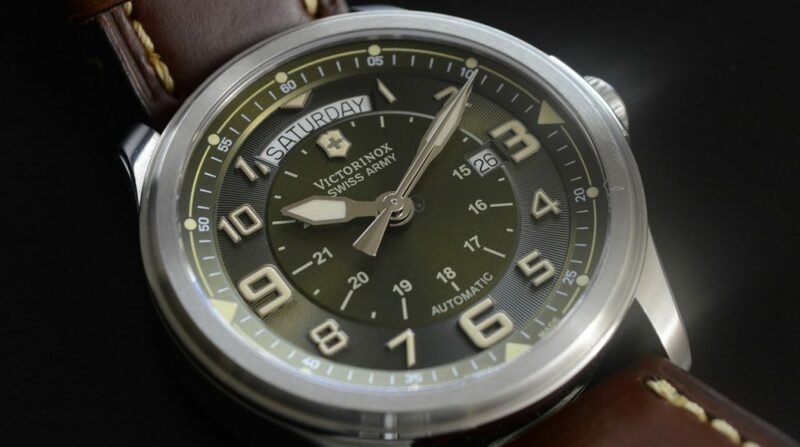 There are several types of watches that bear the “Khaki” designation, but it’s the classic 38mm Field that we’re recommending here. The Khaki ships on a comfortable leather strap, and thanks to excellent (and ample) lume, you’ll never have to worry about legibility. Our sister site, WatchesYouCanAfford.com, has an in-depth review of the Khaki Field. The Khaki Field is such a versatile watch that it feels inappropriate not to include it. For all but the most formal of settings, it will be a tasteful and appropriate addition to your wardrobe. It’s got the engine to match the looks. The Jazzmaster Auto Chrono is a beautiful example of how Hamilton can design a great looking watch and power it with an interesting mechanical movement. Inside the Auto Chrono is Hamilton’s H-21 automatic, which boasts a 60-hour power reserve, date display, and – of course – a mechanical chronograph. The H-21 has proven itself to be a reliable, robust, and accurate movement. See the in-depth review on WYCA. A mechanical chronograph is as much about the mechanical precision of the movement as it is about actually being a stopwatch. 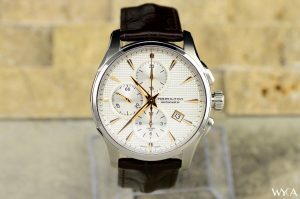 Still, the Auto Chrono is a tasteful watch that has the mechanical chops needed to match its classic good-looks. Gorgeous good-looks that will still be attractive a decade from now. Founded in 1917, the company we know as rado has humble beginnings as Schlup & Co. watchmaking factory. The Rado brand came to be in the 1950s, with the venerable Golden Horse collection released in 1957. It didn’t take long for Rado to expand their global reach, and by the early 1960s, Rado was a brand present in more than 60 countries. 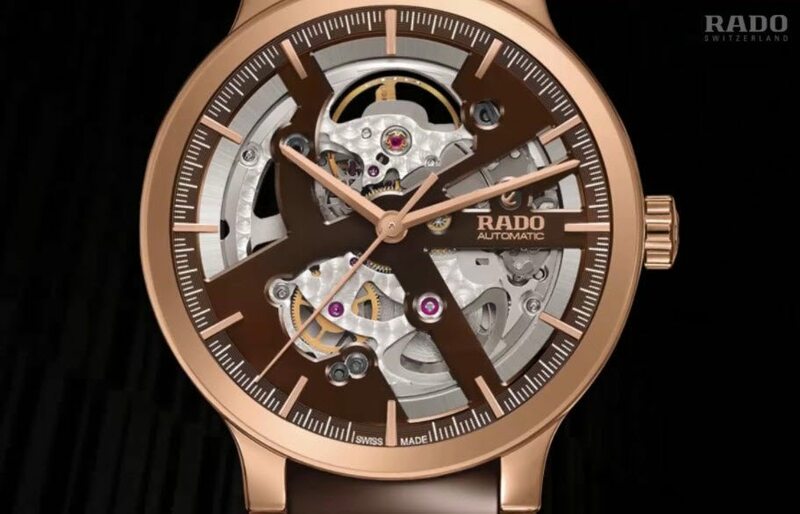 Rado is perhaps best known for their innovations in the use of ceramic and alternative materials. 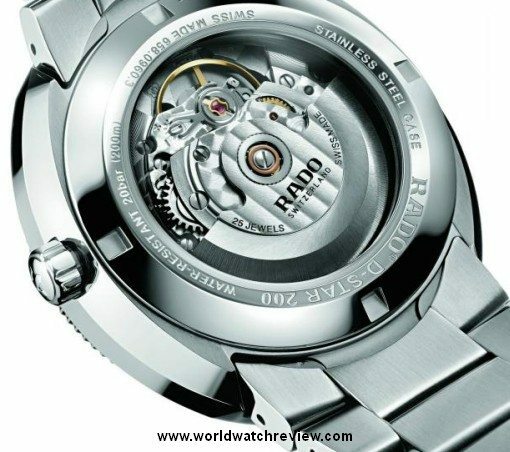 In 1986 Rado released the Integral, which introduced sophisticated ceramic materials to watchmaking. Their push into alternative materials continued into the 1990s, with the Rado Ceramica released in 1990 and the Rado Sintra released in 1993. Today, Rado is a respected and recognized brand that enjoys a storied past and genuine legacy. Rado mechanical watches average in the $1,300 range, though their limited editions and mechanical showpieces can reach into the five-figures. Still, fine workmanship and cutting-edge materials – paired with Swiss mechanical movements – result in fine watches indeed. 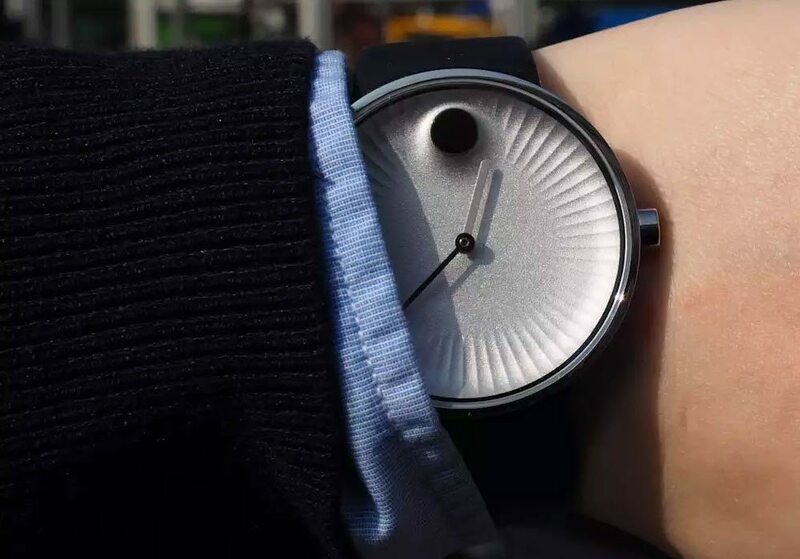 An excellent example of skeleton watch design. The Centrix Skeleton is an interesting skeleton watch that deftly walks the line between mechanically interesting and stylistically overdone. The C07.631 automatic that’s on displayYou will see the Khaki Field on many of these “watch lists” because it is an easy choice to make. It ticks all the boxes: it’s affordable, well-made, uses quality materials, and has a quality automatic movement inside. Our pick – the white ceramic and rose gold – is available for around $1,250 on Amazon, and at that price, it’s hard to find another example of a equal caliber. 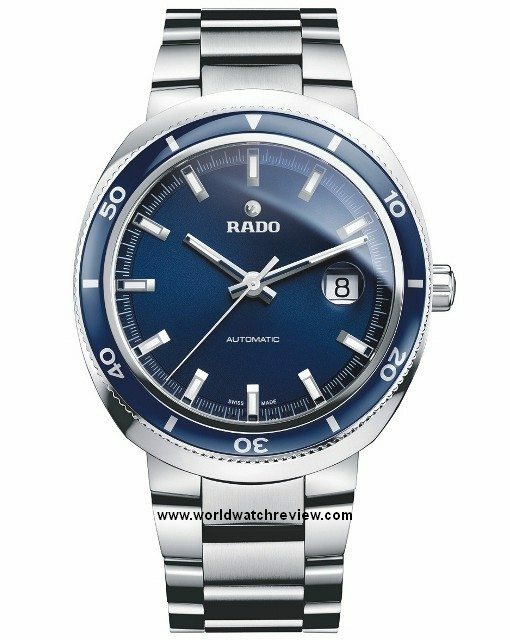 Plus, the excellent materials used by Rado give it excellent durability. More photos and in-depth review at WatchPaper. There’s no denying just how interesting a skeleton watch is. Skeleton watches are among the few styles that will pull in non-watch people with ease; looking at the internals of the watch is just too good ot pass up. Swim-safe watches don’t always look this good. The D-Star 200 is a standout watch in the entry-level dive segment. 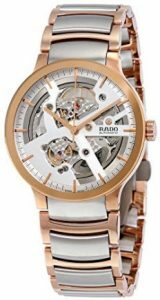 Affordable – available for around $650 – and versatile, this entry-level Rado is powered by an ETA 2824-2 that enjoys fine finishing on the movement and rotor. There are many dive watches out there rated for the same 200m of water resistance that the D-Star is, but very few feature classic styling that is subtle but distinctly unique. It’s a fantastic-looking timepiece that enhances any wrist. See the in-depth D-Star 200 review on WorldWatchReview. 200m of water resistance means that this D-Star can go with you just about anywhere. Thanks to sapphire, the quality build of the case, and the workhorse movement used, the D-Star 200 is a capable and attractive diver. 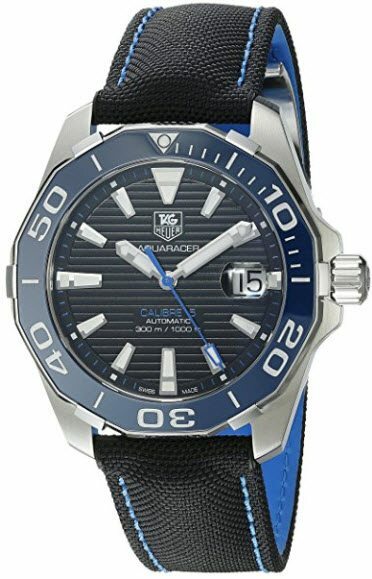 A fine example of an affordable dive watch from a respected Swiss brand. In 1881, LAI Ditescheim & Freres SA – the original incarnation of what is now Movado – was founded in La Chaux-de-Fonds, Switzerland. The company made and marketed many mechanical timepieces before its focus shifted towards its focus Museum design. 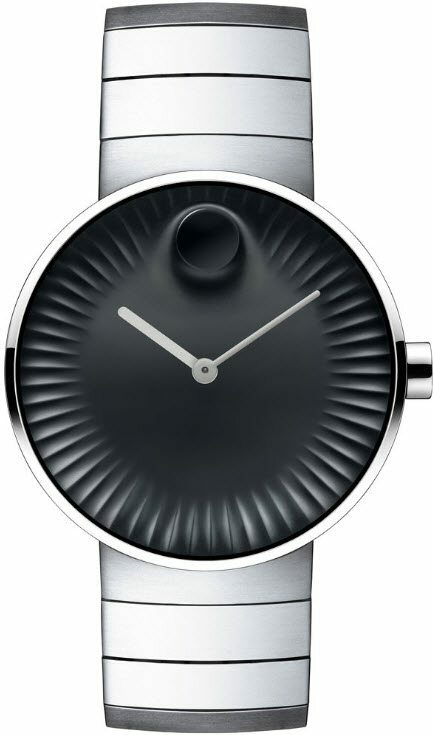 The Museum design language, first born in 1947 by American designer Nathan George Horwitt, has become Movado’s signature design. 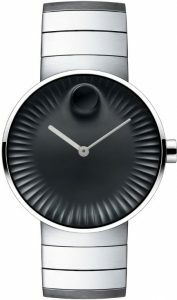 One year after Horwitt’s version of the Museum was unveiled, Movado began selling their own unauthorized version of the Museum watch. 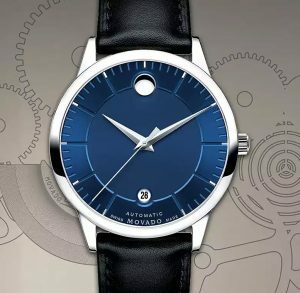 This would begin a decades-long legal conflict that ultimately ended in 1975 with Movado settling with Horwitt and licensing the design. The Museum was added to the Museum of Modern Art in 1960 and remains the only timepiece with such a distinction. 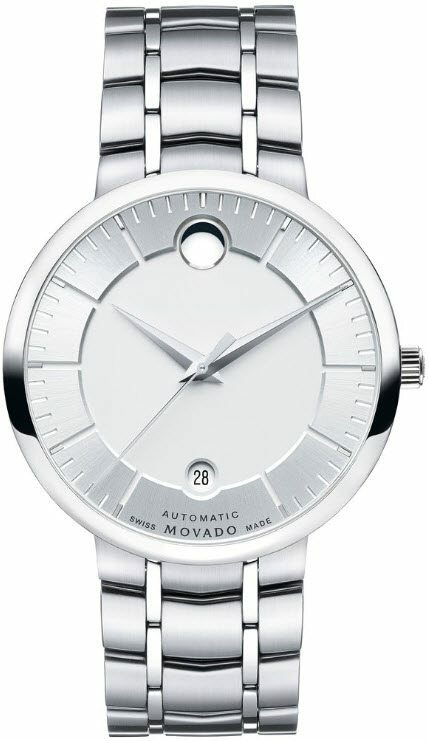 Movado has eclectic tastes, offering a multitude of models that feature a broad spectrum of styles and movements. 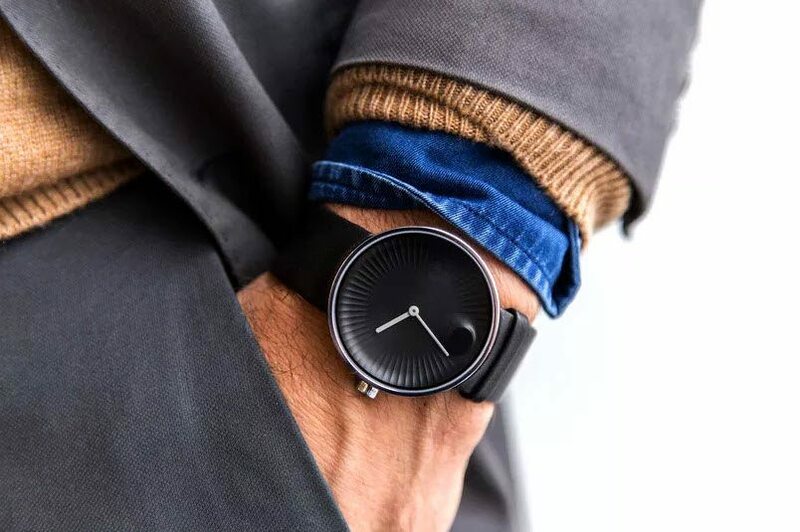 Shying away from the classic Museum’s, we’ve picked two Movado’s that are interesting in their own right, and stand-out examples of what contemporary Movado is all about. The Edge takes the Museum design language and turns it on its head. It isn’t overdone – in fact, it’s hardly done at all – but yet it’s a beautiful reimaging of the classic that inspired it. Raised ridges along the edge of the dial provide an unmistakable depth that draws the eye to the edge. At 12 o’clock – as always – sits the circular indice, representing the sun at high noon. The second’s hand is absent, leaving only the hour and minute hands to draw the eye. Powered by a Swiss-made quartz movement, the Edge is a simple and well-made demonstration of contemporary art deco design. Read a more complete overview of the Edge lineup. Just look at it. It’s beautiful in a way that only Movado’s are, and it’s so rare for someone to make a statement like that and for it to actually be true. It’s youthful but elegant, futuristic yet retro. Simply a flawless execution. A gorgeous design with a great automatic. The 1881 Automatic is, in our opinion, the best Movado automatic you can buy right now. Sure, Movado has other auto’s available, but they’re more expensive than the 1881 and they increased value is marginal. What makes the 1881 Automatic a great choice is its design which, of course, is an iteration of the Museum. A tasteful 39.5mm case is in keeping with the subtle, discreet, but sophisticated style of the 1881. It’s also thin, measuring at just 13mm thick. It’s the perfect size to tuck under a cuff and stylistically appropriate just about anytime sleeves are. The ETA 2824-2 automatic is a robust movement used by many Swiss watchmakers. 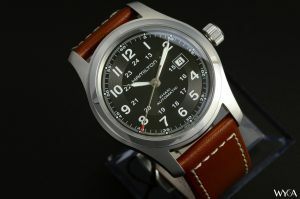 See in-depth coverage of the 1881 at EthosWatches.com. 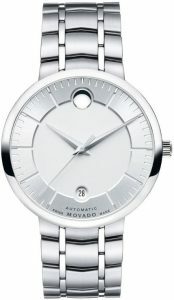 There’s something inherently special about a mechanical movement, and the same is true of Movado as a brand. 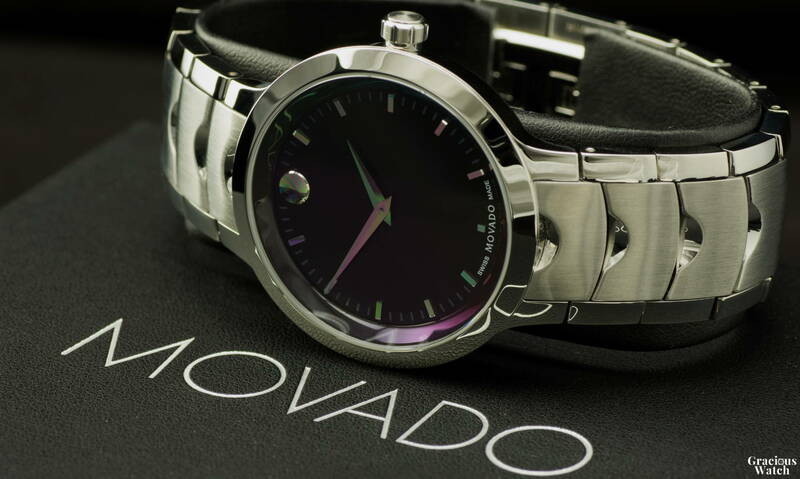 The 1881 is an affordable example of a finely-built and well-styled Movado. 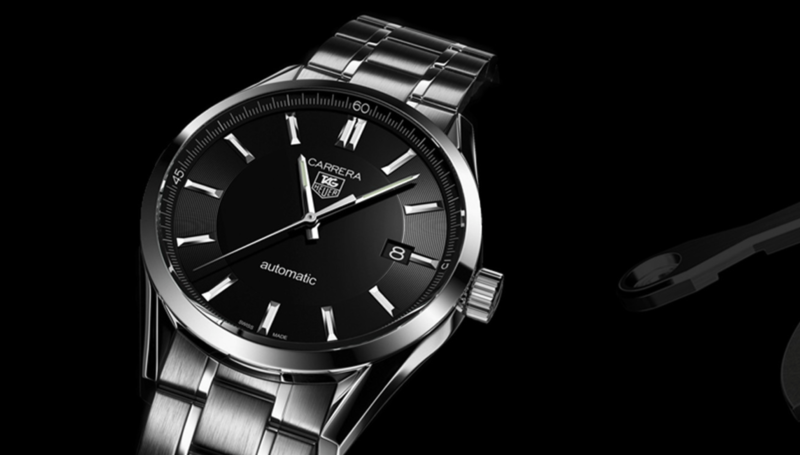 Placing Tag Heuer on a list of affordable Swiss watches seems like a misprint, but in reality, Tag Heuer makes several watches that are on the affordable side of luxury. Besides, the definition of affordable isn’t exactly rigid. In any case, mentioning fine Swiss watches without discuss Tag seems like an egregious omission. Few watchmakers can boast such an impressive legacy, with origins dating back to 1860. Originally founded as Uhrenmanufaktur Heuer AG (Heuer Watchmaking Inc.) in St-Imier, Switzerland, the company we now know as Tag Heuer didn’t come to be until 1985 when Heuer was purchased by The Tag Group – a private holding company incorporated in 1977. Heuer introduced many horological firsts to the watchmaking industry, including the first wristwatch chronograph in 1914, being the first watch in space (John Glenn wore a Heuer in 1962 during a mission to orbit the Earth in the Mecury Atlas 6), and the introduction of mechanical chronographs in 1969 (in partnership with Hamilton and Breitling). 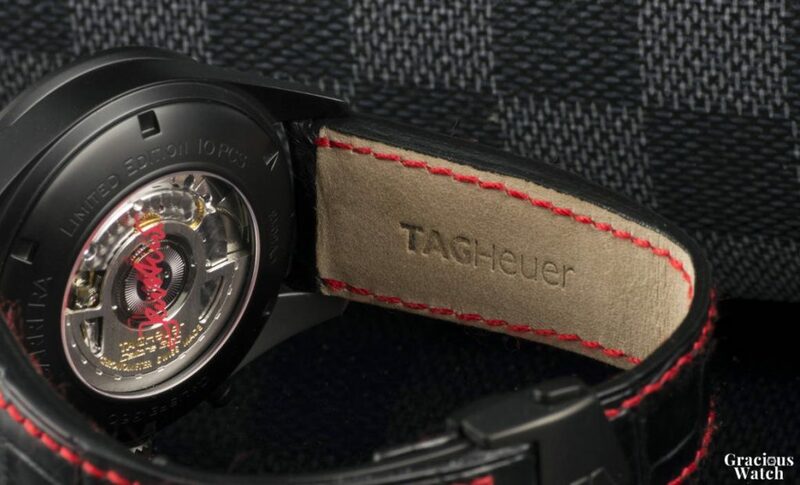 Today, Tag Heuer is known the world over as an avid supporter of motorsports. Tag Heuer sponsors many auto racing events, including Formula 1, and has a partnership with the Red Bull Racing Formula One team. Their interest in motorsports is plainly obvious in their racing-inspired designs. Tag Heuer is somewhat upscale compared to the previous entrants on this list, but that doesn’t mean that they aren’t attainable. Still, a quality mechanical timepiece from Tag will certainly run into the low four-figures. The Carrera Calibre 5 is a simple, understated design that stands out on its mechanical and constructive merits. It is a finely made timepiece indeed. 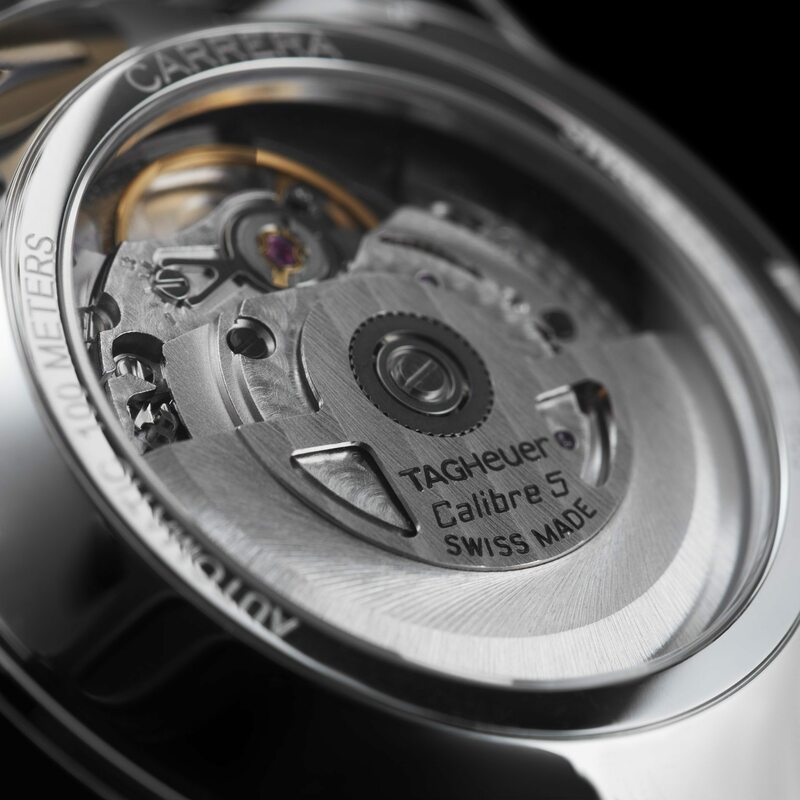 Introduced in 2014, the modern Carrera Calibre 5 is an understated demonstration of fine watchmaking. At the heart of the Carrera is the Calibre 5 automatic movement, which beats at 28,800 bph and has a power reserve of 38 hours. As you may expect from a watch of this caliber, the Carerra features sapphire front and back and top-quality finishing. Read an in-depth review at Escapement. 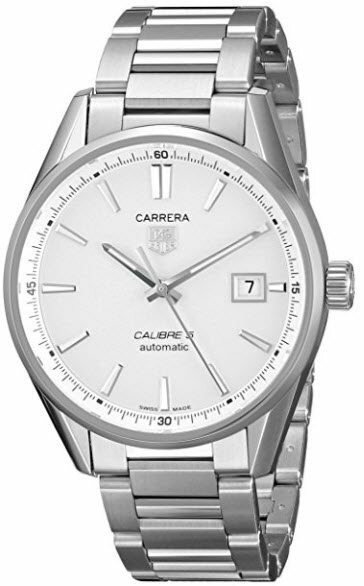 The Carrera Calibre 5 that we’d have – stainless on stainless with date display – can be had for a touch under $2,000. That’s a not-insignificant sum for a relatively simple watch. With 300m of water resistance, the modern Aquaracer 300 is an excellent addition to an already-renown line of dive watches. 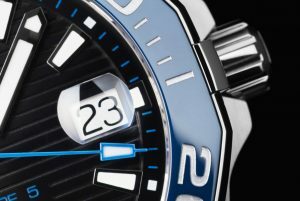 The Aquaracer series of watches is as recognized as the Seamaster line from Omega. 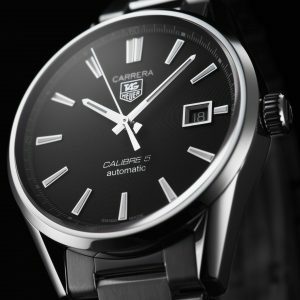 The Calibre 5 automatic movement is again a Swiss-made Sellitta SW200 (which is, in effect, a clone of the ETA 2824-2). It’s tucked away inside a hardened steel case with ceramic bezel. Sapphire glass – with a Rolex-esque magnifying window at 3 o’clock – protects a clean and meticulously machined dial. 300m / 1000ft of water resistance empowers the Aquaracer 300 to go to the deepest of depths, and its high-powered lume will allow you to see no matter how far down you take it. Read the in-depth review from aBlogtoWatch. 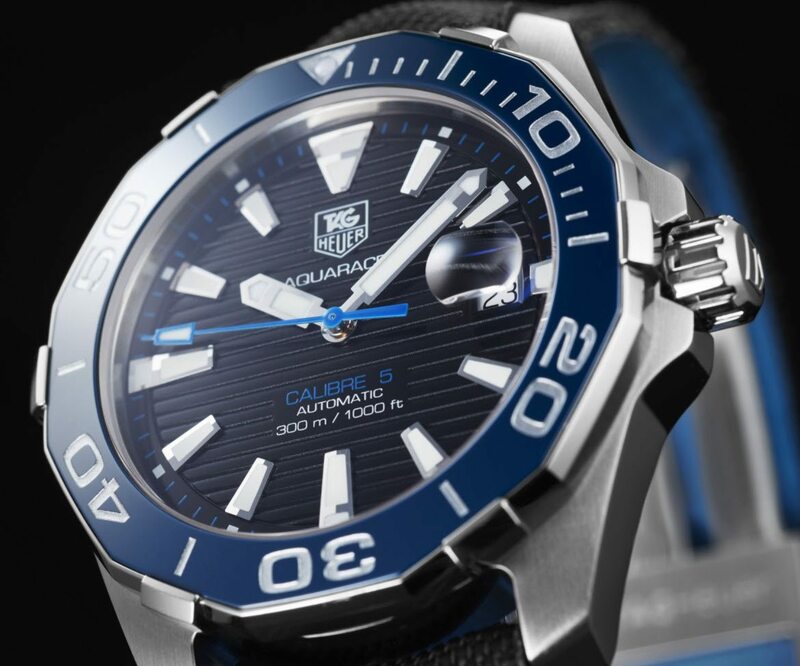 Building a dive watch of this caliber takes undeniable skill. The pressures exerted on a timepiece at the depths 300m of water resistance is rated for are not insignificant, and yet the Aquaracer will happily come along with you for the ride (or swim). Headquartered in Ibach, Switzerland, Victorinox dates back to 1884 when it was founded as a cutlery manufacturer. In short order, Victorinox introduced the world’s first Swiss Army Knife and set the standard for multi-tools in the century that followed. 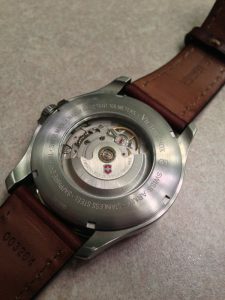 Victorinox watches are a relatively recent addition to Swiss watchmaking, with their first watches released in 1989. 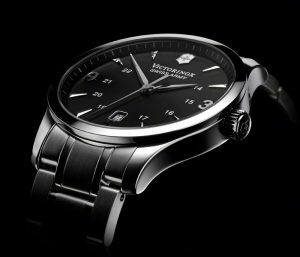 Known for their unrelenting and uncompromising quality standards, Victorinox watches utilize rugged construction, high-quality materials, and Swiss-made movements. Is there anything more Swiss than a watchmaker that also manufactures the venerable Swiss Army Knife? 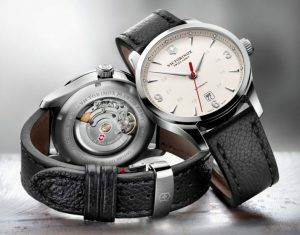 Today, Victorinox showcases watches across several lines. Utilitarian design, mixed with sensible Swiss flair and exceptional craftsmanship, result in watches that are perhaps the Swiss’s best-kept secret. 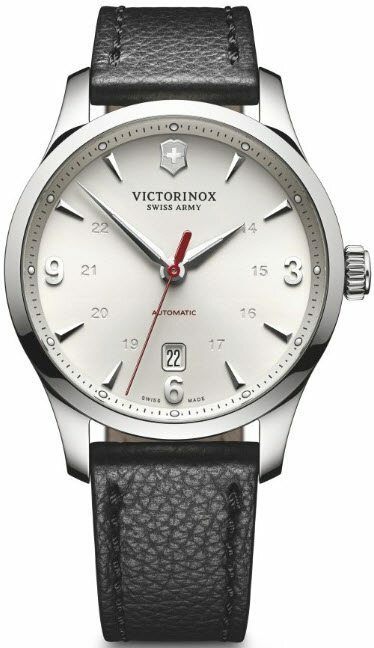 In any case, a modern Victorinox watch embodies the manufacturing ability and mechanical values that are associated with fine Swiss watchmaking. Compared to most other inclusions on this list, Swatch is undoubtedly the most attainable. Most of Swatch’s offerings are found for under $100, with a considerable selection available for south of $50. This military watch will always wear well. Refusing to cave to extravagant design or unnecessary complication, the modern Victorinox Alliance Mechanical is an elegant blend of aesthetic simplicity and mechanical prowess. Like many other watches featured on this list, the Alliance is powered by an ETA 2824-2 automatic, a robust Swiss-made auto that powers millions of watches worldwide. We appreciate the Alliance’s understated design language, which is utilitarian in many ways but subtly extravagant in others. Small touches, like the dial-colored 24-hour markings alongside the raised chrome indices, help the Alliance stand out in a competitive space. Available for under $500, the Alliance is a well specc’d automatic that is worthy of your consideration. Read a comprehensive review from WornAndWound. There is always room in a collectors collection for a simple, value-focused timepiece that delivers on the value proposition. 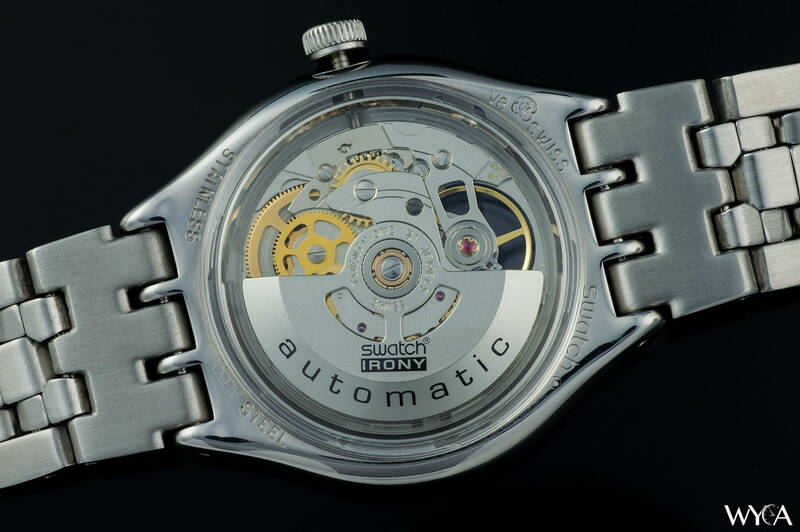 With sapphire, stainless, and a legendary ETA movement, the Alliance certainly earns that designation. 40mm is the perfect size for any wrist, including yours! The Infantry Vintage Mechanical is a watch that offers its wearer the ideal combination of functional design, mechanical ability, and value. Sapphire protects the dial and rear exhibition caseback, and quality materials – including stainless steel and upmarket leather – give the Infantry Vintage the durability to match its design. Excellent lume makes it easy to read at any time, and at 44mm, it makes a statement on the wrist. The day/date complications add to the utility of the watch, as does its 100m / 330ft of water resistance. The green on steel on leather color combination is our favorite, but it is far from the only attractive motif. You can also find the Vintage in blue and black color schemes. Read an in-depth review on WYCA. Its military-inspired design is attractive, but it’s the combination of the design, mechanical underpinnings, and value that make this a stand-out (in our opinion). Available for under $400, the Infantry Vintage is an undervalued gem. All this for under $500? Yes, please! 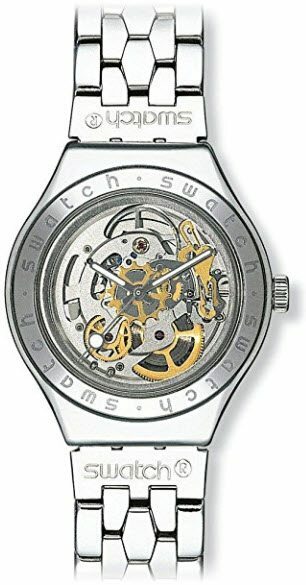 Today the world’s largest watchmaking conglomerate, Swatch came into being as a response to the invasion of quartz watches from American and Japanese watch brands. 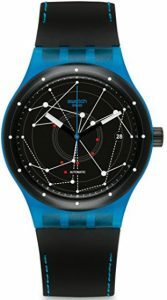 Swatch is what was created in order to compete in a rapidly evolving space, where mechanical precision was losing favor to the convenience and accuracy afforded by quartz movements. In 1983, after more than a decade of struggling against modern competitors, the Swiss watch industry finally yielded and created Swatch. Intended to compete with dominant heavyweights, such as Bulova and Seiko, Swatch brought Swiss-made watches into a more affordable segment of the market. To emphasize this, Swatch timepieces were given incredible flamboyance and personality. 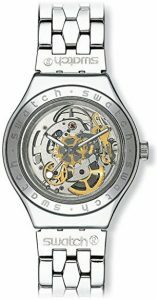 Swatch grew considerably throughout the late-1980s and 1990s, eventually owning the who’s who of watch brands, including:Breguet, Harry Winston, Blancpain, Glashütte Original, Jaquet Droz, Léon Hatot, Omega, Longines, Rado, Union Glashütte, Tissot, Balmain, Certina, Mido, Hamilton, Calvin Klein watches + jewelry, Swatch, Flik Flak. 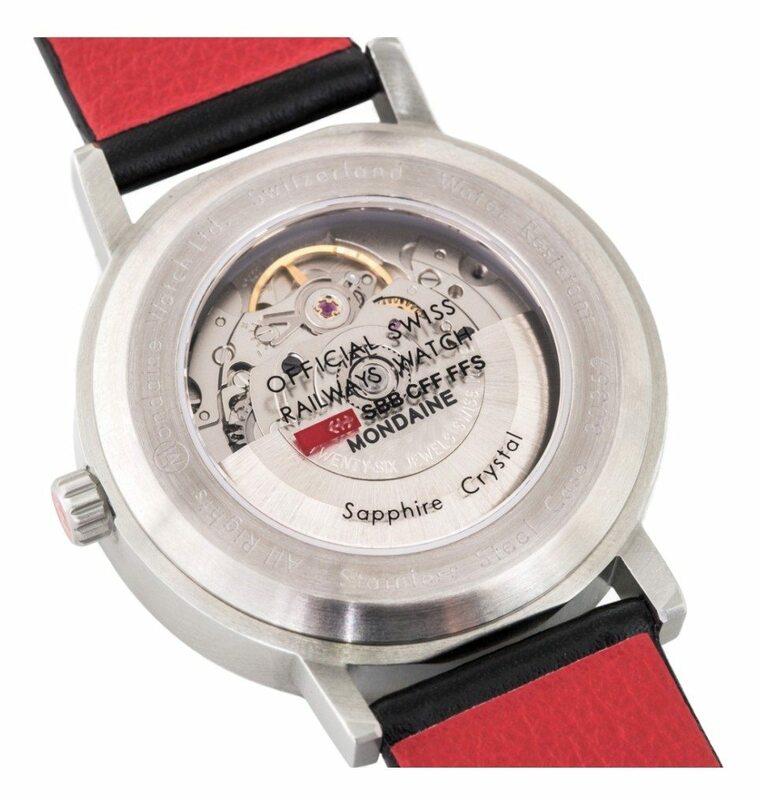 Read our in-depth article on the History of Swatch Watches. 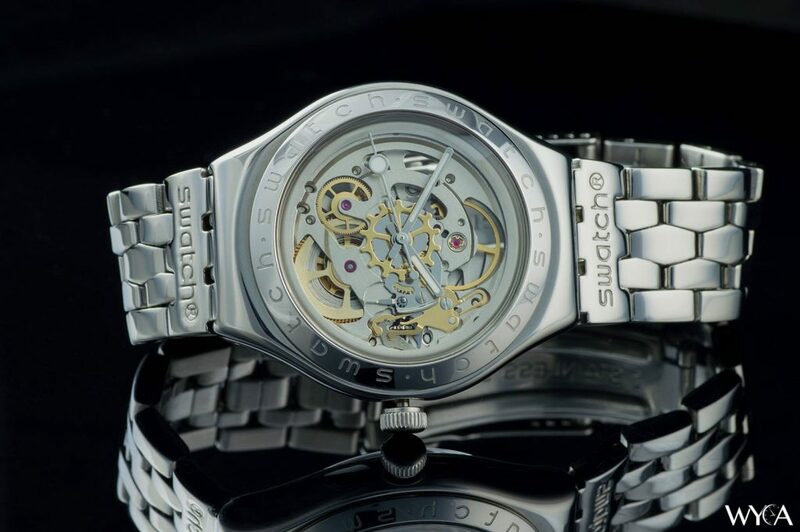 A skeleton watch is difficult to do right, and in our opinion, Swatch hit the proverbial nail on the head with the Irony Body & Soul. Designed to offer upmarket looks and a Swiss-made automatic movement at an affordable price, the Irony Body & Soul is an excellent demonstration of what Swatch is capable of. Lacking upscale materials, the Body & Soul makes due with mineral glass front and back. However, inside is a Swiss-made automatic – an ETA 2841 with 48 hours on reserve – that is beautifully and tastefully displayed. Beginning life as an ETA 2824, the ETA 2841 is modified to reduce function – and cost – to suit the price-point of the YAS100G. Read a comprehensive review at our sister site, WYCA. 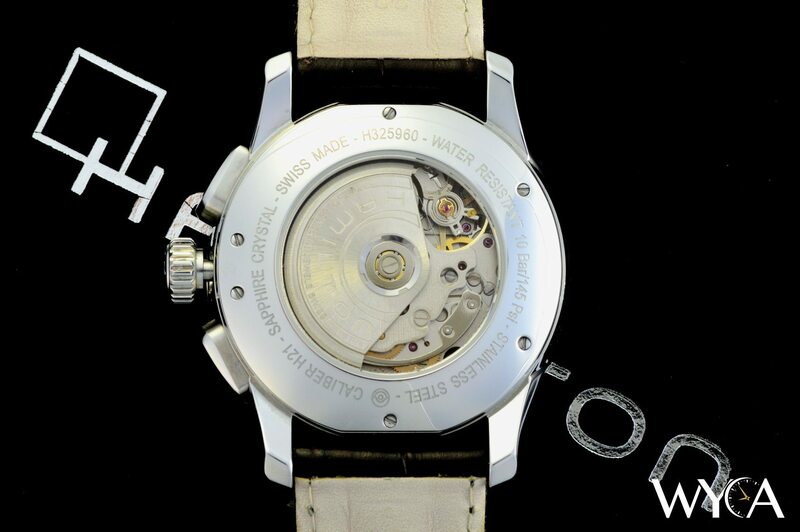 The customized automatic movement is, for starters, a gem of an addition to the Body & Soul. That it was customized to suit the needs of the watch makes it special, especially considering its price of around $150. Currently just $140 on Amazon! If there was a watch that we will look back on in 20 years and say “that was the watch that changed mechanical watchmaking”, the Sistem51 would by my entrant. With just 51 moving parts, the Sistem51 series of watches feature 100% machine-assembled automatic movements that incorporates numerous technical watchmaking innovations. 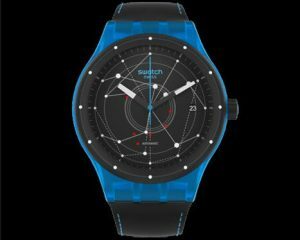 Introduced in 2013, the Sistem51 rocked the horological landscape by definitely demonstrating that yes, an all-mechanical and machine-assembled movement was not only possible, but available at an ultra-low price point of well under $200. With the Sistem51, mechanical prowess is paired with funky, exciting designs. The movement, which is blessed by technological innovations that exceed most mechanicals you’ll come across, incorporates mechanical improvements that may come to redefine the mechanical space. Boasting 90 hours power reserve, the Sistem 51 and the mechanical prowess that powers it is a demonstration of industrial precision at its most capable. Incredible. Read the in-depth review on WatchTime. Single-handedly throwing the traditional Swiss watchmaking industry into pandamonium may not be the exaggeration that you’re imaging. The future of timekeeping may lie in the Sistem51 and the entirely automated assembly processes that underpin it. Like Movado, Mondaine is a company that is defined more on style than on mechanical prowess. Unlikely Tag Heuer, Hamilton, Rado, and most of the other entrants on this top-7 list, Mondaine does not enjoy a rich history that dates back over a century. Moreover, their history is devoid of horological firsts or notable additions to the mechanical side of horology. In 1986 the Mondaine watch company licensed the rights to the Official Swiss Railways Clock design that was created by Hands Hifker in 1944. This design, which features a simple dial with a stand-out seconds hand, is the stereotypical watch design. Perhaps second only to Movado’s Museum design, the Railway design is timeless and iconic in the watchmaking world. In 2005, Mondaine released the Night Vision, a self-powered illumination system that allows for the dial of the watch to be clearly visible for years. 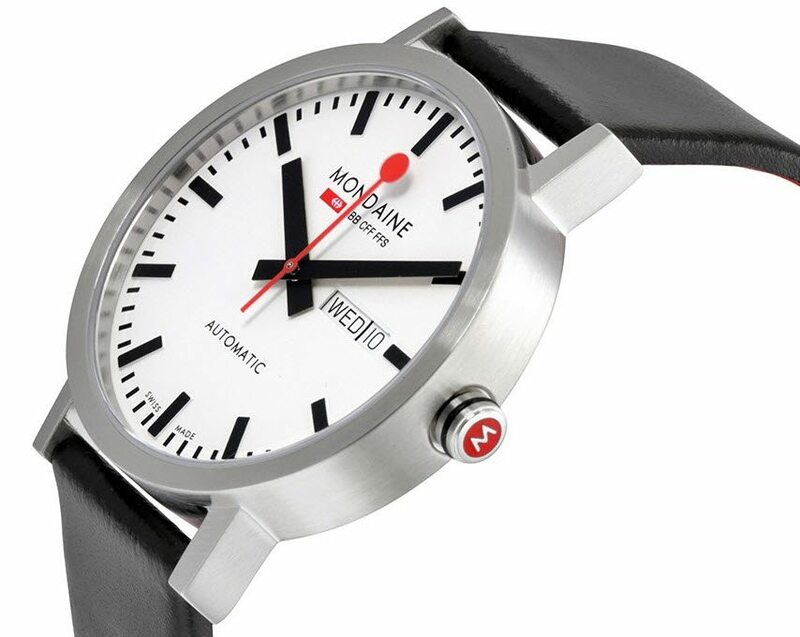 In 2013, Mondaine released the stop2go, a watch with a seconds hand that completes a full rotation in 58 seconds. The second-hand remains paused at 12 o’clock for 2 seconds, moving in conjunction with the minute hand to mark the passage of a new minute. One of the most recognizable watch designs in the world, the Mondaine SBB is a gorgeous and timeless take on timekeeping that seems to get more relevant as time goes on. Every collector will appreciate the aesthetic simplicity that only the SBB provides. The true face of the modern clockk. Like Movado’s Museum, the Railway design that the SBB showcases is a defining component of the brand. Its look – emulated by alarm clocks and iPads everywhere – is as timeless as the notion of timekeeping itself. It’s a literal institution in the watch world. Inside is the Sellita SW200, a clone of the ETA 2824 and every bit as good as the ETA original. This mechanical engine, combined with the timeless SBB looks, are a literal steal of a deal when found under $400 (as it is commonly found online). Check out this comprehensive review. A design that enjoys over 70 years of history is a strong consideration, but so too is the movement used and the price its found at. All around, the Mondaine Classic 40 is a great timepiece. 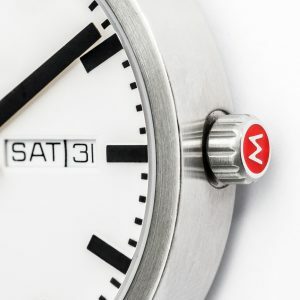 The long-lasting legacy of stand-out horologicla design!